The mysqldump utility is a free software allowing “logical” backup of any MySQL database by saving it to a text sequence of SQL queries. Originally developed by Igor Romanenko at 1999, now it grows to one of main functional utilities of MySQL environment. The resulting file created by mysqldump, a database dump, contains the SQL statements needed to build the database from scratch. These statements are independent from the original database. Executing this sequence will restore the database, e.g. for MySQL replication. The main advantage of dump files created with mysqldump is that they have a very simple and readable internal format. A user can rewrite these dump files manually as it needed, which makes dumps a perfect source for experiments. For example, let you have a MySQL database with multiple tables, and an application (e.g. a web server) working with it. Each table can use its individual storage engine. How the database retrieves and stores information. That is what database architecture design is about. Create a backup of your MySQL database. You can do it with mysqldump, or through the MySQL Backup feature of Handy Backup. Prepare a testing environment that enables you to simulate different database loads and measure the application’s response time. Modify the dump files by changing storage engines used in tables. 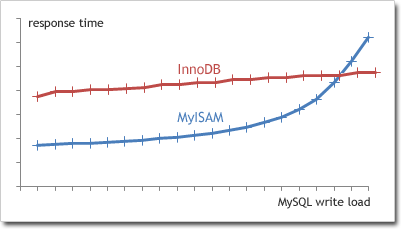 To do it, find the CREATE TABLE statements and add ENGINE=MyISAM or ENGINE=InnoDB to them. Restore the database with the use of the modified MySQL dump files. Run the tests. Repeat steps 3-4 with different combinations of storage engines. When you finish, roll the database to the original state. In the following video tutorial, you can learn how to back up and restore MySQL databases with Handy Backup. Note: Instructions in this video suggest that you already have Handy Backup installed on your computer. If you still have not done so, do not hesitate to download it. Handy Backup extends the functionality of mysqldump utility with multiple options typically used in different backup strategies. For example, your MySQL tables can be automatically compressed, encrypted, and stored onto a given FTP or SSH server. 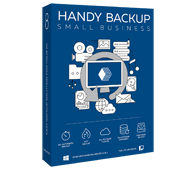 Handy Backup provides a full spectrum of backup automation settings and options, from compressing data to scheduling events to logging performed tasks. To learn more about MySQL backup with Handy Backup, please refer to MySQL Backup Features. To create MySQL dump files, you need the Small Server edition of our software developed for small business backup purposes. Free 30-days trial! Another scenario in which dump files created by mysqldump or Handy Backup can be useful is migration from MySQL to other database management systems. All popular DBMS aim to comply with the SQL standard, with only some minor changes required for a typical dump file. To see if you can transfer your MySQL data to another DBMS, you can simply make a dump and try to restore it to a different system. You can read main recommendations on performing this task on the MySQL Recovery page.